We have just received crash reports from Apple which confirm our analysis of the problem some of our users have been experiencing when pressing “Detect Chords”. We can now be 100% confident that our fixes in Chord Detector v1.0.1 submitted to Apple on Wednesday of this week solve that problem. Due to the time taken by Apple to review apps we expect the update to reach the App Store mid week next week. Thank you for your continued patients and support. We have now fixed a crash which occurs when the “Detect Chords” button is pressed and there are track names with 3 or fewer characters in the users iPod music library. Chord Detector V1.0.1 which contains this fix has been submitted to Apple for approval. So it should be available to download as an update very soon. Please accept our apologies for any inconvenience this issue has caused and we thank you for your patients. Thank you to everyone who has contacted us providing feedback of a crash which occurs when some users press “Detect Chords” from the Chord Detector App welcome page. We are looking into the issue and hope to have a patch ready shortly. It is looking like the issue is caused by track names in the iPod music library which contain 3 or less characters. If you are experiencing this problem you can get around it by temporarily removing any 3 letter tracks from your iPod library. I will post an update shortly with our progress on fixing this issue. click here for a full list of known issues. Chord Detector v1.0.0 Released Today! Version 1.0.0 of our Chord Detector iPhone/iTouch app has been released today onto the Apple App Store. 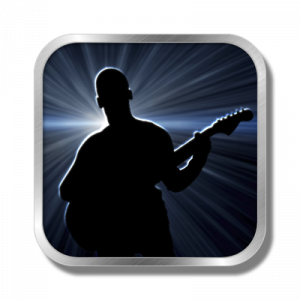 Chord Detector is an App aimed at musicians of any ability to help you learn to play the tracks on your iPod music library by automatically detecting their chords.